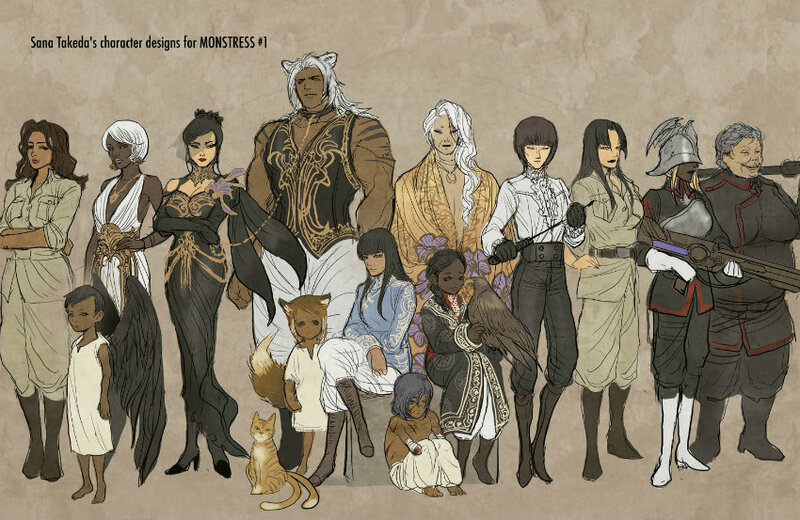 A critical and popular success that exploded out of the gate in late 2015, Monstress breathes new life into a flagging genre in desperate need of new voices. 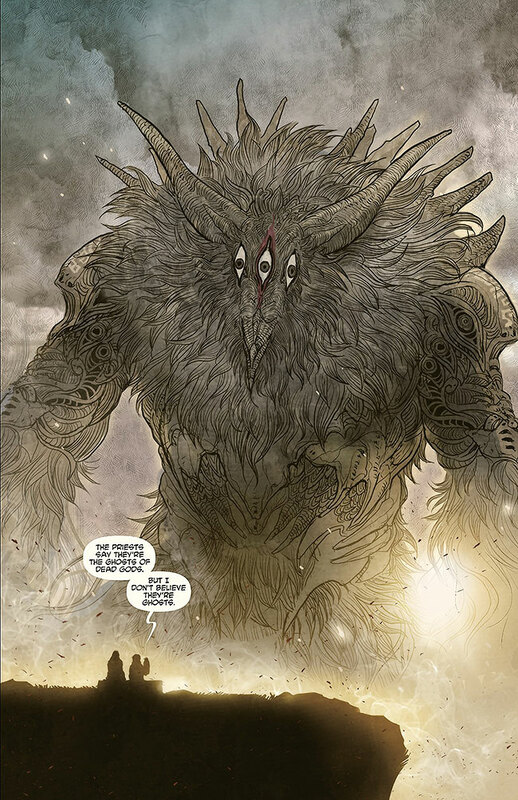 Monstress, Marjorie Liu and Sana Takeda’s complex saga of a young woman’s quest for vengeance, injects vibrant new life into tired, old fantasy conventions through thoughtful world-building, a fierce, well-developed cast of strong female characters, and a stunning visual tone that envelops the reader in a cocoon of glorious hyper-detail. Quite simply, Monstress is one of the most well-crafted and engrossing fantasy comics on the shelves today – possibly ever. So, just in time for the final issue of the first story arc, before the series takes a short break until August, here are three monstrously good reasons you need to read this fantastic series. In Maika Halfwolf, Marjorie Liu has created one of the fiercest female fantasy protagonists in recent memory. Spurred by a burning need for vengeance for a half-remembered childhood tragedy, and forged by a lifetime as both slave and fugitive, Maika has proved since her introduction that she’s willing to do whatever it takes to achieve her goals. She is a true force of nature, fueled by something vast and horrible and beyond nature, making her a dangerously alluring protagonist. In fact, Liu’s entire cast is populated with complex, fully realized characters with complicated backstories and often conflicting motivations. 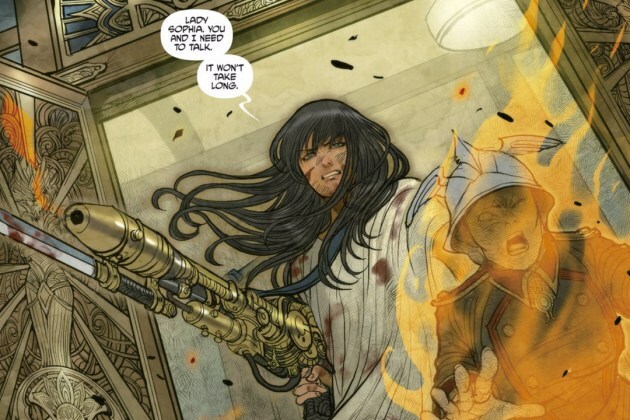 It is with this collection of strong, largely female cast members that we travel through the world of Monstress, never realizing until much later how few male characters occupy major roles in the series. This isn’t a criticism, but it shouldn’t be a selling point either, though for many readers it will be. It simply is what it is: damn fine character development from an exciting creator only just realizing the extent of her remarkable talent. This one should be self-evident to anybody with a functioning set of eyes. 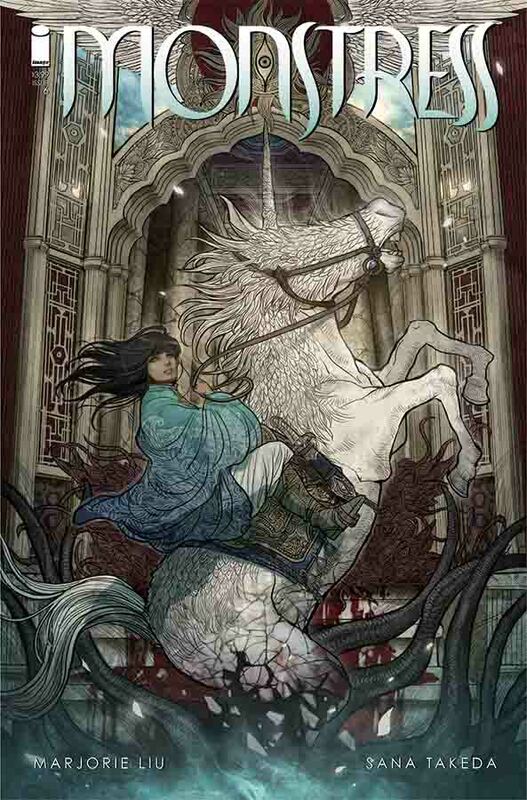 Sana Takeda brings a lush, intricately detailed feeling of verisimilitude to the people and places of Monstress. Her seemingly delicate linework and robust design sense combine for a singular, visually stunning reading experience, encompassing all facets of the book’s richly imagined world, from its flamboyant heroes and villains to its steampunk-inspired technology and unique mythology. The reader falls into Takeda’s pages, drawn from one panel to the next by her fluid, expressive storytelling and sumptuous backgrounds. 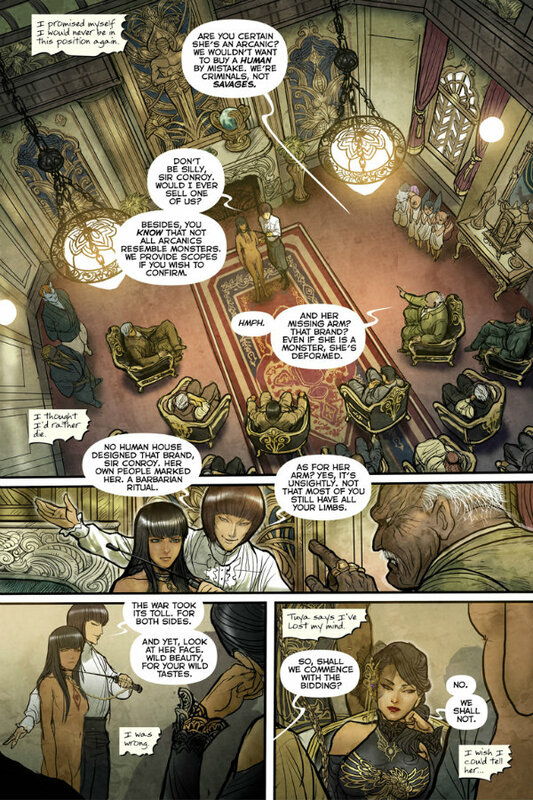 It is this distinctive visual style that infuses Monstress with a resonant sense of place that is both exotic and intoxicating. Liu and Takeda’s secondary-world setting of an alternate South Asia, built upon a foundation of magically powered steampunk retro-tech and Lovecraftian, kaiju-inspired cosmology, fulfills all of the requirements for inspirational fictional escapes. Writer and artist work together to create a truly immersive reading experience set against a bewildering backdrop of political intrigue, personal betrayal, and shocking magical violence. This is a world teetering on the brink of catastrophic conflict between multiple factions, whose hatred and mistrust for one another spans centuries. With the powerful witch-nuns of Cumaea threatening to escalate their grievances against the hybrid Arcanic Courts into full-scale war, Maika’s quest for vengeance becomes even more unpredictable and less likely to succeed. It is also a realm that operates according to strict magical guidelines originating in a distant past of dynamic exploration and discovery. 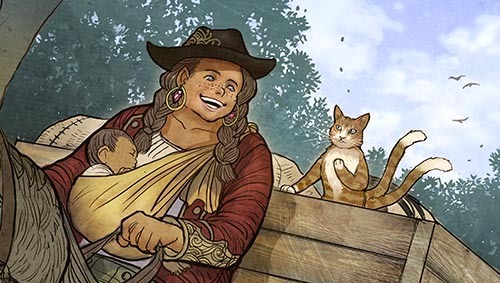 Curated and cared for by an immediately endearing race of multi-tailed, talking felines, history and legend are important to the continued development of new technology – valuable resources to be mined for lost knowledge and forgotten applications. 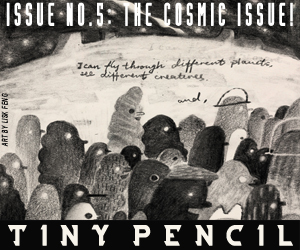 Now that the book is going on hiatus for the next few months, it’s the perfect time to catch up with the first six issues. Keep an eye out for a trade paperback this July. If you’re already up-to-date, you don’t have to wait nearly so long: Monstress #6 hits stores today (May 25th).